Fearless Records has released their compilation of some of today’s hit songs on their new album “Punk Goes Pop Vol. 6”. The album consists of punk rock covers of several pop favorites, including Miley Cyrus’ “Wrecking Ball”, Lorde’s “Royals” and Beyoncé’s “Drunk in Love”, covered by punk artists such as August Burns Red, Tyler Carter and Oceans Ate Alaska. So turn up the volume and tell your neighbors to put in their earplugs. It’s going to be very loud in here. Not all of these songs sound like punk rock. If anything, many of them sound like pop stars remixing other pop stars’ hits, such as Tyler Carter featuring Luke Holland with their cover of Lorde’s hit “Royals”. Although there is some punk element to “Royals”, I wouldn’t completely label this as punk rock. The screaming almost seems forced and isn’t really necessary to make the song exciting. Set it Off’s “Problem”—originally performed by Iggy Azalea and Ariana Grande—has an equal balance of pop and punk, making it easy to listen to. Fans of both genres will easily fall in love with these songs. On the flipside, some of these songs are quite difficult to listen to. For example, August Burns Red’s version of “Wrecking Ball” is hard to understand due to all of the screaming. This will no doubt leave the listeners with a ringing in their ears. This also applies to Upon a Body Burning and legendary rapper turned actor Ice-T’s rendition of DJ Snake & Lil Jon’s “Turn Down for What”. Ice-T’s contribution to the song keeps “Turn Down for What” in the rap category while giving it an edgier feel with Upon a Body Burning’s blood curdling scream. Oceans Ate Alaska’s version of Beyonce’s “Drunk in Love” can barely be understood. The screams are so deafening, the fans will only clearly understand the chorus. While the punk remakes of today’s pop hits are unique and exciting, it may not appeal to all pop fans. However, some of the tracks are less punk and more pop, and that may appeal to the fans of pop music. The screams in most of the songs are difficult to listen to, but that may work for punk fans. 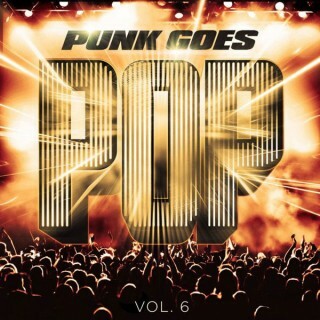 “Punk Goes Pop Vol. 6” will enchant both audiences and gives everyone something to enjoy.